hello, hello! how was everyone's week? is anyone else completely OVER cold and flu season? i am! i feel like i have been sick for the whole of 2014 and it's time for it to just end. on a happier note, there's a new Festive Friday challenge up today! i LOVE this week's inspiration photo, don't you? 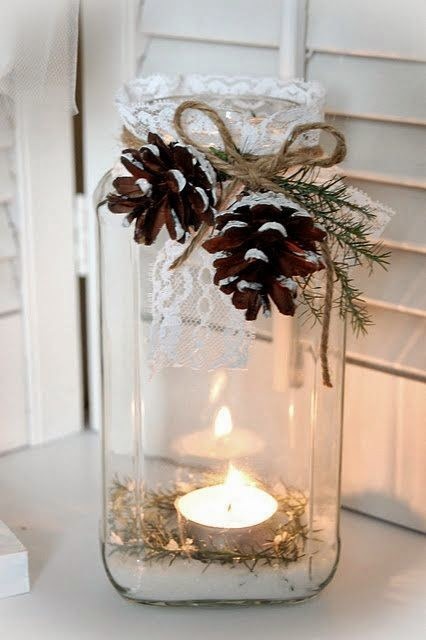 a mason jar, lace, and those pretty pinecones? lovely, indeed! 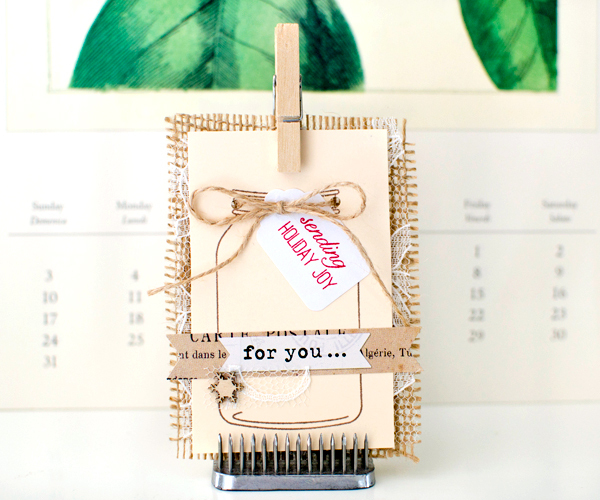 i knew instantly that i wanted to go rustic with my project--and that i didn't want to make a card this week. i've had the Papertrey Ink Friendship Jar stamp forever and haven't really used it so i got it out for this and came up with these tags. i also wanted to feature some kind of pinecone on these but much to my shock and horror, i have NOTHING at all representative of a pinecone! 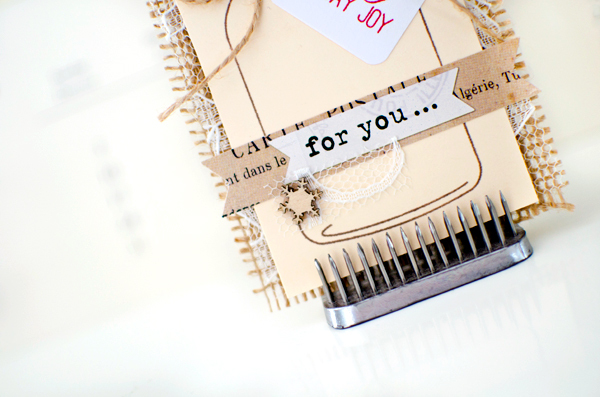 i could hardly believe it--no embellishments, no pretty paper, no good quality stamps. looks like i'll be hunting for some pinecone-related materials in the near future. the tags are relatively simple, in keeping with the photograph--sometimes less is more. 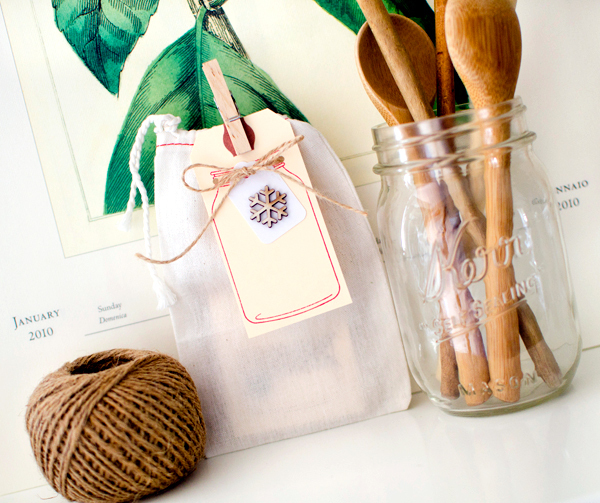 i stamped the jar on a manila shipping tag, punched 2 small holes on either side of the rim of the jar, and then tied my jute twine around it. 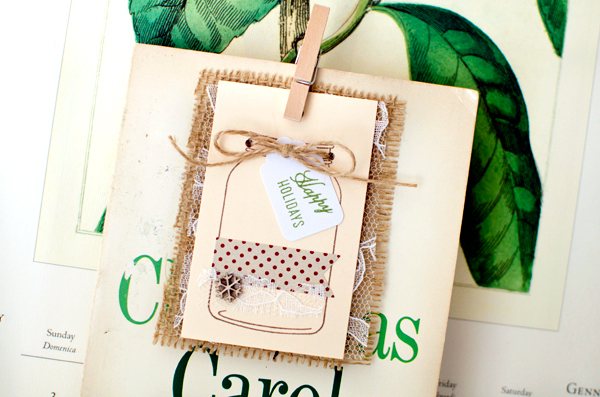 each tag is backed with a swatch of burlap and lace for a little rustic elegance! when i'm making a set like this, i like to make each tag slightly different, but keep most of the same elements for a cohesive feel. each small white tag has a different message and each tag has a different sticker--these offered some pops of color, too. 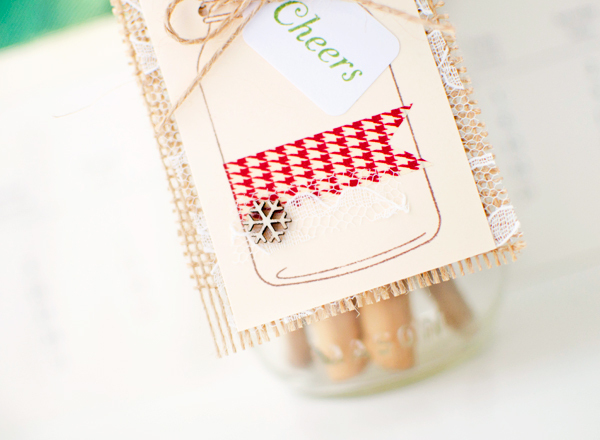 and the finishing touch was another hint of lace and a tiny wood snowflake (i wish i'd had pinecones!). 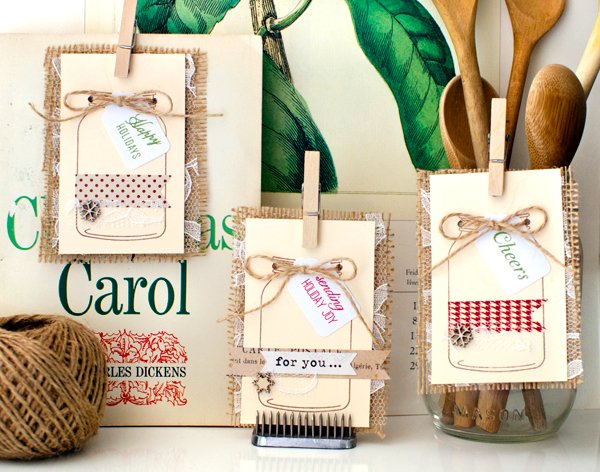 this set will go on sale at Christmastime so i packaged it up in a muslin bag with another simple, coordinating tag. Being in the middle of a heavy downpour that's lasted for days, I for sure don't believe you! Isn't it weird we didn't even talk crafty stuff?? Great idea for the challenge Rebecca. 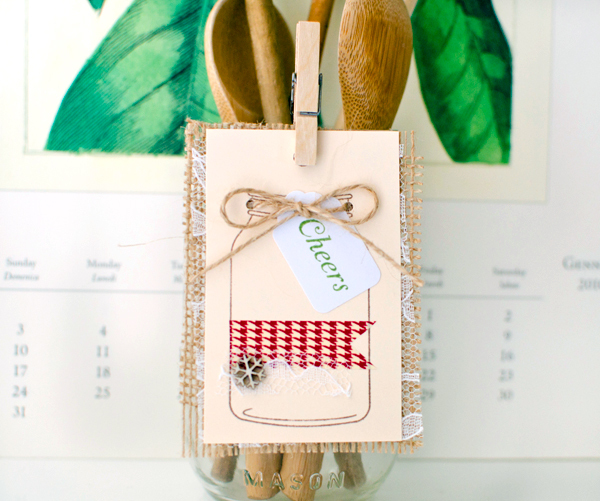 Love the jars and the plethora of ideas you've come up with. I tried to comment yesterday but the link was not working- hence I came directly to your blog.